Carnegie Mellon University has created the first and only undergraduate major in behavioral economics to meet the rising demand for trained professionals in the field from the government, nonprofit and industry sectors. 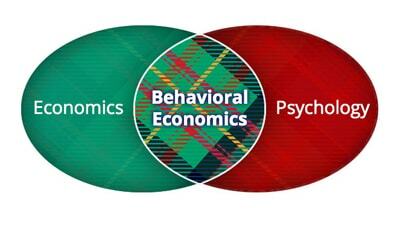 The Bachelor of Arts degree in behavioral economics, policy and organizations (BEPO) begins this semester and will train students to apply psychological insights to human behavior to explain and predict economic decision-making. Governments seek to use behavioral economics to inform public policy and improve their effectiveness. In industry, it is used to position brands, inform product design, adjust hiring and performance evaluations, motivate employees and improve the quality of employee’s decisions regarding their benefits plans. At Carnegie Mellon, BEPO students will learn about behavioral economics at the institution responsible for pioneering the field. The late CMU Professor Herbert Simon, a Nobel Prize and Turing Award winner, coined the phrase “bounded rationality” to describe a more descriptive conception of the limits of human problem-solving ability. CMU Professor George Loewenstein co-founded behavioral economics and is a renowned expert in a wide range of subjects, including decision-making over time, bargaining and negotiations, psychology and health, law and economics, the psychology of adaptation, the role of emotion in decision-making, the psychology of curiosity, conflict of interest and "out of control" behaviors such as impulsive violent crime and drug addiction. The BEPO major is offered through the Dietrich College of Humanities and Social Sciences’ Department of Social and Decision Sciences (SDS). It complements SDS’ highly sought after Ph.D. program in behavioral decision research, which has alumni working at Facebook, Google, Fidelity Investments, Mckinsey & Company, the newly formed Consumer Financial Protection Bureau and a number of nonprofits, startups and consulting firms. In addition to Loewenstein, students in the BEPO major will have the opportunity to learn from world-class behavioral economists, including Linda Babcock, a prominent expert in gender discrimination in the workplace who also focuses on behavioral labor and economics and negotiation; John Miller, whose research interests include bidding behaviors in auction markets and the dynamics of political platforms in spatial elections and of price formation in simple markets; Saurabh Bhargava, who examines barriers to enrolling in social service programs, the social and economics factors that affect happiness, factors that influence job searches and wage expectations of the unemployed; and Alex Imas, a rising star in behavioral economics who studies risk taking in financial markets, how social concerns and emotions influence decision-making and preferences and self-imposed mental accounts and risk attitudes. The BEPO curriculum is interdisciplinary and will give students a firm foundation in economics and psychology as well as how to integrate the two perspectives. Students will take calculus and have a solid grounding in quantitative methods and experimental design, both in the laboratory and field. To celebrate BEPO, the Social and Decision Sciences Department will host "Behavioral Insights in Action," an afternoon of panel sessions and networking activities on Friday, Feb. 3 in Hamburg Hall 1214. The event also will feature experts from government organizations such as the World Bank and the Lab @ DC and companies like Disney and Voya Financial talking about how they use insights from behavioral economics and psychology in their organizations. Loewenstein will give a keynote talk on "The NEW New Economics of Information," in which he will present findings from new lines of research, much of it conducted with students and colleagues in Social and Decision Sciences, all dealing with the psychology and economics of information, and all of it challenging traditional economic accounts of how people deal with information. In some cases, motivated by curiosity, people seek out information that has no value for decision-making. In other situations, if it threatens to be painful, people avoid information that could inform decisions. And, rather than updating their beliefs rationally, people often defend their beliefs as they would defend material possessions. Space is limited at Behavioral Insights in Action. Registration is required.